Timothy J. Riss is a United Methodist by choice His father was a Lutheran, later a Presbyterian, pastor; his mother was a Julliard graduate who played the organ for Lutheran, Presbyterian, Reformed, and United Methodist churches. When he was fifteen, he chose to join the Ardsley, NY United Methodist Church. He earned his BA at the University of Rochester, NY, where he majored in psychology and minored in mathematics. His MDiv is from Colgate-Rochester Divinity School/Bexley Hall/Crozer Theological Seminary, an American Baptist and Episcopalian school. Tim's work experience includes a year and a half with the United States Postal Service in Rochester, three years as Student Assistant at the First Presbyterian Church of East Rochester, and 34 years as the pastor of the following United Methodist Churches in New York: Fleischmanns and Halcott Center, Franklin, Catskill, Smithtown, Hicksville, and Poughkeepsie. Beginning in a cooperative parish in rural New York, and moving through suburban and urban pastorates, he began a ministry in 2015 as the Superintendent of the Catskill Hudson District, the rural and small-town district in the New York Annual Conference. 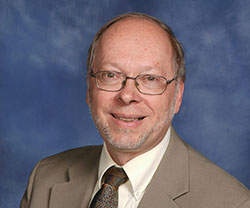 Within United Methodism, Tim has served in leadership in many capacities, including as a delegate to the international General Conference in 1996 (as first alternate), 2000, 2004, 2008, and 2012.; He chaired the delegation from New York in 2016. He currently serves on the executive committee of the Interjurisdictional Committee on Episcopacy and as secretary of the Northeastern Jurisdictional Committee on Episcopacy. He served as a director of the denominational missions agency 2008-2016. He has been vice-chair and secretary of the Northeastern Jurisdictional Committee on Annual Conference Boundaries and the chairperson of the Northeastern Jurisdictional Town and Country Association. In the New York Annual Conference, he has served as the chairperson or co-chairperson of six agencies, including the Board of Ordained Ministry (1996-2000) and the Council on Finance and Administration (2007-2012). Tim married his best friend, Genie Abrams, in 2002. He is the father of Jon and Sam and the step-father of Rachel, for whom he thanks God every day.